Poyner Spruill has offices in Charlotte, Raleigh, Rocky Mount, and Southern Pines, North Carolina, giving it a statewide presence. The firms size enables it to foster individual attorney excellence in such diverse practice areas as bankruptcy, workouts, creditors rights, employment law, immigration, commercial real estate, employee benefits, banking law, privacy and information security, venture capital, public utilities, health care law, governmental relations, environmental law, securities law, municipal law, construction law, white collar criminal defense, as well as trials and appeals in all state, federal and administrative courts and tribunals and alternative dispute resolution. The firm brings to bear the resources, talent, and experience of all its offices to serve the needs of its clients. In addition, its reputation, size, and client base enable Poyner Spruill to effectively represent the national and regional interests of its clients.The firm is the North Carolina law firm member of SCG Legal, an association of fifty independent law firms located in the fifty state capitals and several foreign countries. 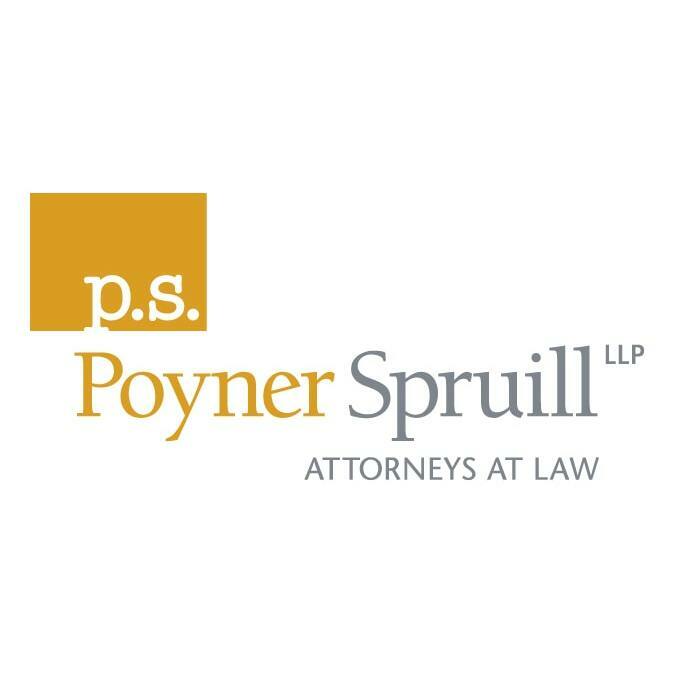 Poyner Spruill clients have immediate access to legal representation in every state and in countries such as Mexico, Canada and Great Britain. Member firms of SCG Legal practice independently and not in a relationship for the joint practice of law.The firm is also a member of the USLAW NETWORK, an affiliation of more than 60 independent firms and over 3,500 litigators across the United States. USLAW NETWORK member firms provide high quality legal representation to major corporations, captive insurance companies, insurance carriers, and large and small businesses across the United States. Member firms of USLAW NETWORK practice independently and not in a relationship for the joint practice of law.